It appears that even one of the Sonic the Hedgehog creators isn't very happy with the live-action look of the character. 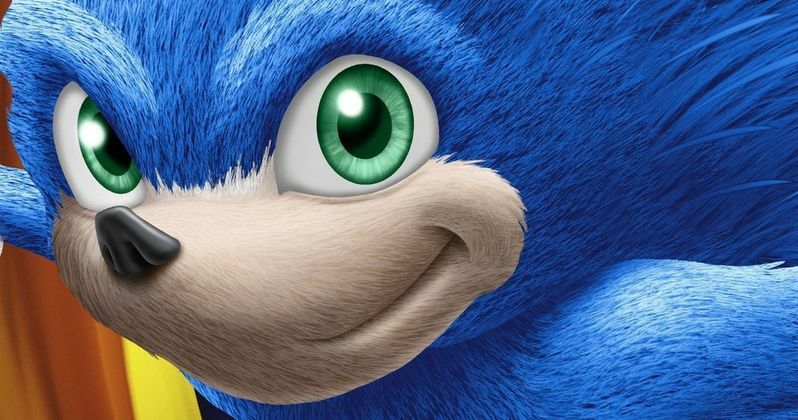 Earlier this week, the first full look at the blue hedgehog from the upcoming movie was leaked online and fans were not happy with what they saw. The images have since been deleted, but they can be found easily. The outrage over the look started back at the end of last year when a poster revealed Sonic's rather buff calves and fur. Yuji Naka, former head of Sonic Team, has revealed his true opinion over the live-action look of Sonic the Hedgehog. Naka was one of the people responsible for bringing the character to life in the first place and he isn't very happy with what he saw online, along with many fans who feel confused as to why there was such a drastic shift in appearances. Sonic is one of the most iconic and recognizable video game characters in history, so this change has caused quite a stir. Naka had this to say. "Is this a 'Sonic' movie? I feel that it is important to look at the whole body visual of Sonic and head, body, and stomach. Did you not get a little more balance?" Yuji Naka also went on to question the nature of the leak from Sonic the Hedgehog. Naka believes that it could have been a strategic maneuver by the movie's creators or marketers as a way to gauge fan reaction to the new look. However, that more than likely is not the case when it comes to how the images of Sonic ended up finding their way online. Sonic The Hedgehog executive producer Tim Miller revealed last year that the original idea behind the new design of Sonic was always going to be based on reality. They wanted to give the character fur like his real-life counterpart, which was another thing that fans were not happy with when the first motion poster was released late last year. Miller even mentioned that Sega wasn't too pleased with the look. He explains. "I don't think SEGA was entirely happy with the eye decision, but these sorts of things you go, 'It's going to look weird if we don't do this.' But everything is a discussion, and that's kind of the goal, which is to only change what's necessary and stay true to the rest of it. He's not going to feel like a Pixar character would because I don't think that's the right aesthetic to make it feel like part of our world." It sounds like the resistance to the live-action look of Sonic the Hedgehog behind-the-scenes has been there from the start, which means that this latest leak was not done intentionally to gauge fan response. The creators of the movie were looking for something different in order to bring Sonic into the real-world and it appears they accomplished that, for better or for worse. Sonic the Hedgehog hits theaters on November 8th and features Ben Schwartz as the voice of Sonic and Jim Carrey plays the villainous Doctor Robotnik. Yugi Naka's Twitter reaction can be found below.